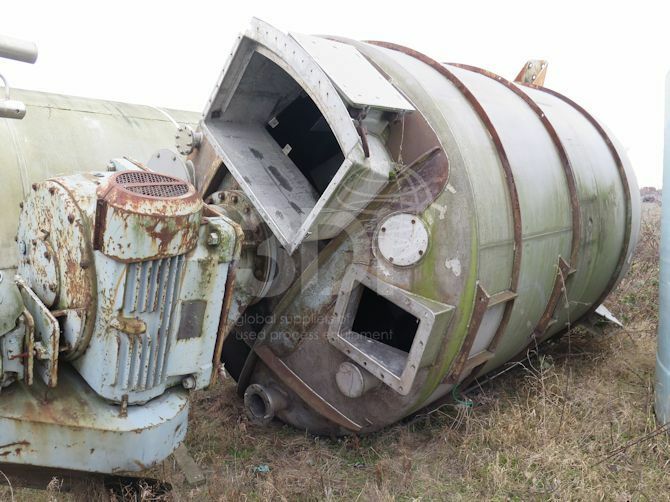 Used 25,000 Litre 321 Stainless Steel Mixing Vessel. Orientation: vertical, cylindrical, coned top and bottom on legs. Dimensions: 2900mm dia, 3355mm on the straight, 920mm bottom cone. 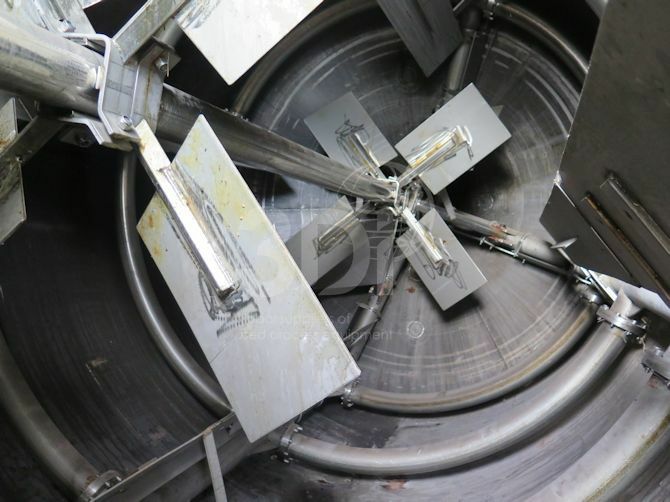 Complete with a 15kw heavy duty drive, 3 sets of 4 blade turbines, internal baffles, 8 wraps of 3″ internal coils. Previously used on chemicals.